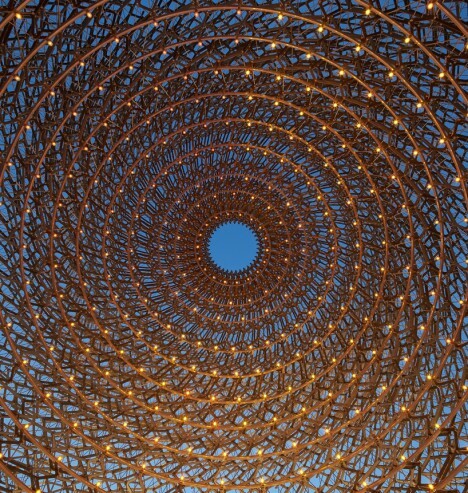 Each year, architects around the world design and construct temporary structures for events like the Milan Expo, showing off their skills in a setting that enables them to be more bold and experimental than they can be with more traditional architecture. 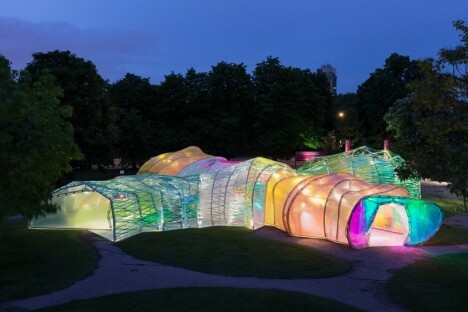 Often interpreting a set theme, these pavilions use unexpected materials, play with spatial relationships and incorporate multimedia for an immersive experience. 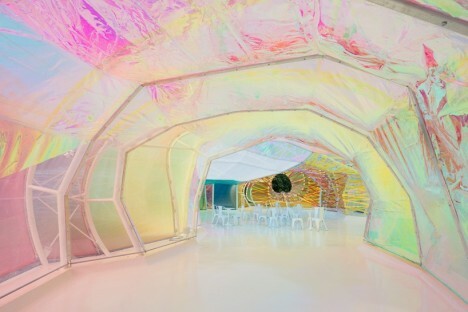 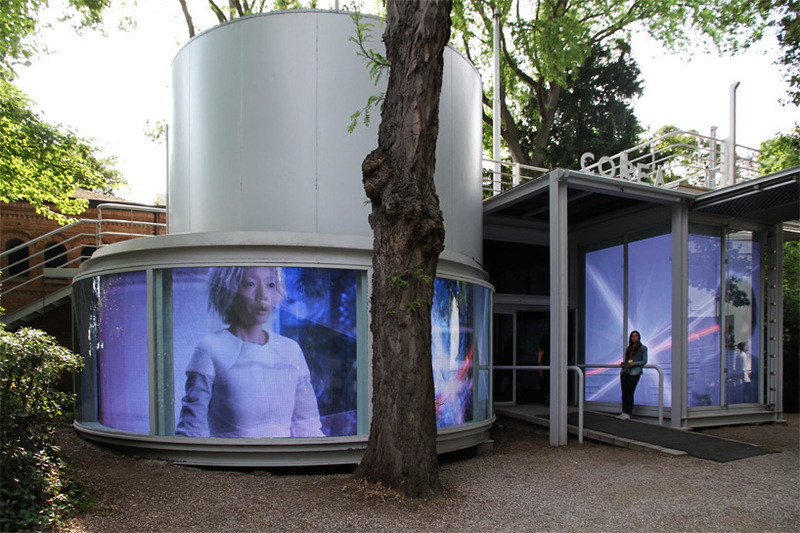 “An archaeological quest into human civilization,” this pavilion entitled ‘The Ways of Folding Space & Flying’ enchanted visitors to the 56th International Art Exhibition. 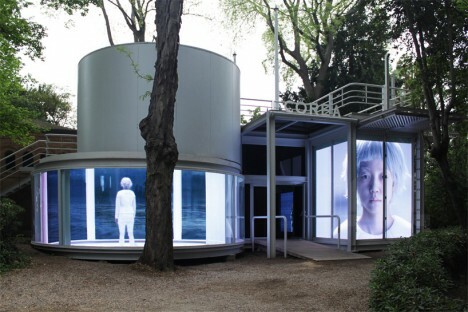 Representing Korea, the pavilion by Moon Kyungwon & Jeon Joonho is part architecture, part film installation juxtaposing the past, present and future and can be experienced from both outside and in. 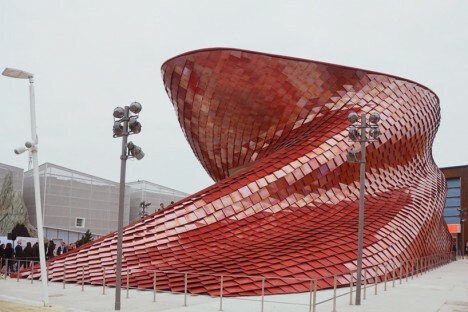 Representing China at Milan’s Expo 2015, the Vanke pavilion by renowned architect Daniel Libeskind explores the theme ‘feeding the planet, energy for life’ through the lens of Chinese culture. 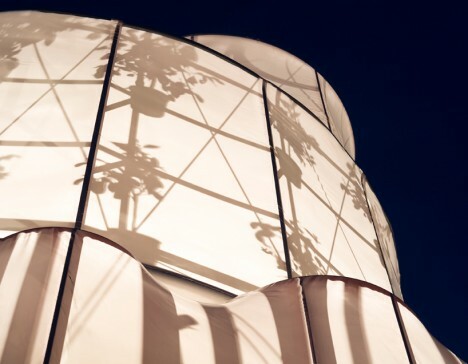 The design is influenced by the shi-tang, a traditional Chinese dining hall, as well as natural landscapes and the dragon, which is associated with farming. 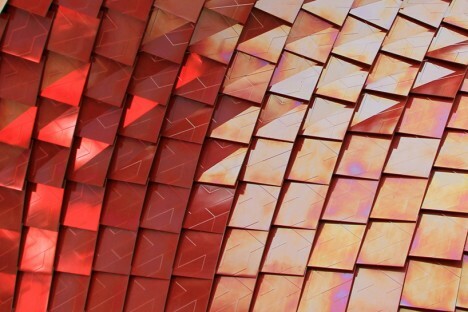 The pavilion is covered in over 4,000 red scale-like tiles with air purification properties, and inside, 200 screens are mounted to bamboo scaffolding, displaying video of city life contrasted with the slow-motion of a meal being prepared and consumed. 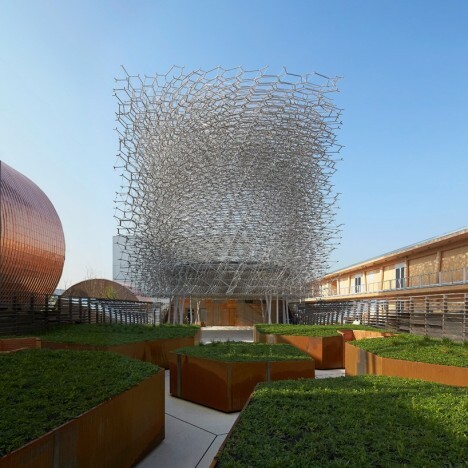 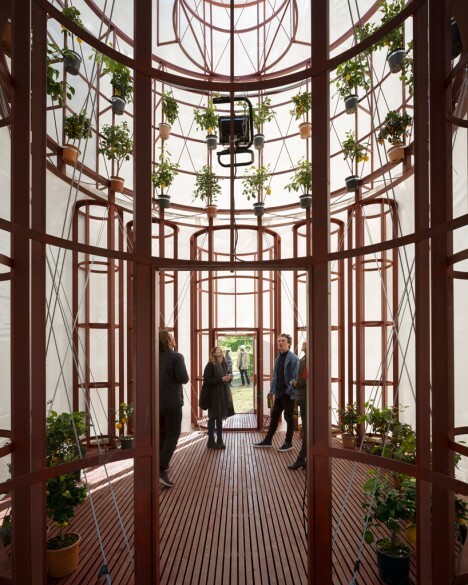 On display in Milan though October 31st, 2015, this pavilion representing the United Kingdom at Expo 2015 reflects the theme ‘Grown in Britain and Northern Ireland’ through a spiraling mesh of metal lattice. 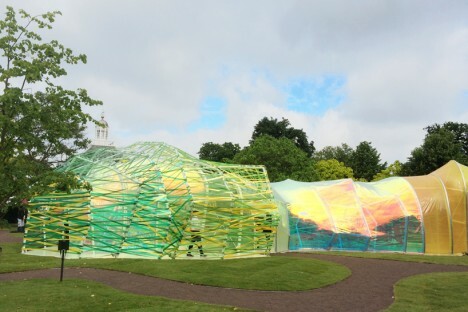 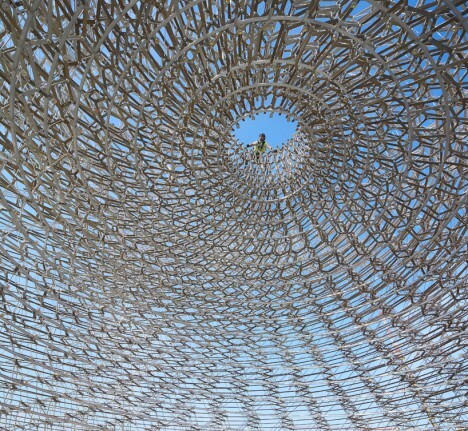 As visitors pass through it they experience five different settings inspired by orchards, meadows, terraces, the architectural program and the ‘hive.’ The whole thing buzzes, pulses and glows thanks to accelerometers and other audio-visual devices embedded in the structure, taking live signals from a real beehive. 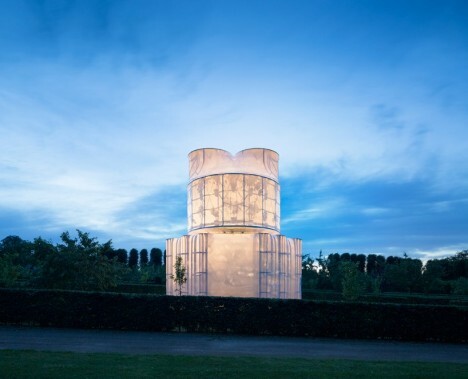 Translucent white fabric stretched across a wooden frame puts the silhouettes of a bunch of potted citrus plants on display once the interior is illuminated after dark at ‘The Orangery’ by Lenschow & Pihlmann and Mikael Streström. 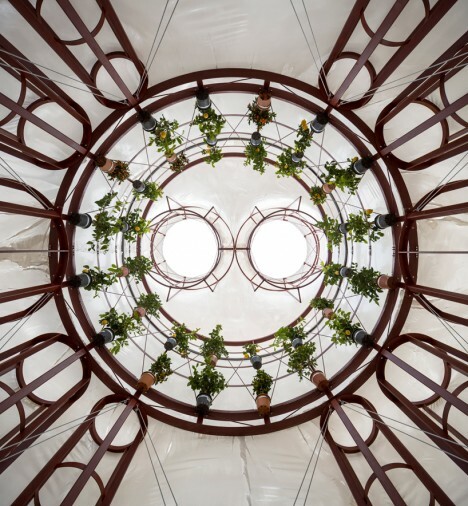 Taking inspiration from the floor plan of Rome’s San Carlo Alle Quattro Fontane Church, the interior is appropriately cathedral-like with its circle of suspended plants.